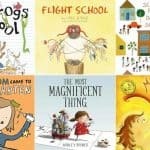 Inside: a list of children’s books about colors, complete with descriptions so you can find the perfect story. Teaching kids about colors opens up the rainbow to them, so to speak. I’ve rounded up some of my favorite books about colors here, plus found a few fantastic new ones to share with you. I know you’ll love them! 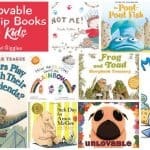 Whether you’re working on teaching the names of colors to young preschoolers or teaching kindergarteners to read color name sight words, these books will surely enrich your lessons. Many of these titles will likely be in your library. For the rest, I’ve linked to Amazon for your convenience. I love using my prime membership to get new books quickly – I’m all about that free 2-day shipping! Just click the links below to be taken to the product pages to purchase (and full disclosure, these are all affiliate links). 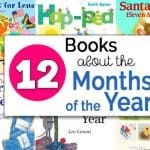 As I put this list together for you, the books fell into three categories: basic (but wonderful), multicultural books, and color books with a message. These basic color books are an excellent place to start teaching kids about colors. 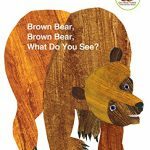 When I think color words, I think about, Brown Bear, Brown Bear, What Do You See?. Eric Carle’s colorful animals, in his trademark collage style, fill each page spread. Author Bill Martin Jr.’s lyrical text is predictable enough for preschoolers to “read” along. 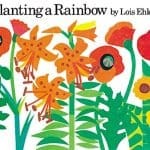 Planting a Rainbow by Lois Ehlert ties teaching color words in with a science lesson. Children will get to explore plant bulbs, seeds, seedlings, and of course flowers in colorful new ways! 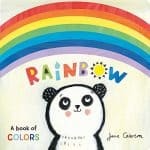 Rainbow by Jane Cabrera is a very simple concept book with a fun rainbow shape. You turn pages to pull off each color layer by layer – this is hard to describe but if you look at the images on the book listing in Amazon you’ll see what I mean. Kids will want their own turn with this one! Also, if you want to teach the word violet rather than purple, and indigo rather than dark blue, then this book is a good choice. Introduce your kids to our colorful world with these stories that embrace diversity. 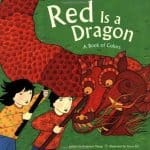 Red is a Dragon by Roseanne Thong and illustrated by Grace Lin incorporates Chinese culture into your read-aloud about colors. Children can find red lychee fruit, green jade, and yellow incense. They can also find more universal objects such as an orange seashell and a brown teddy bear. This is a story that kids will want to go back to over and over. 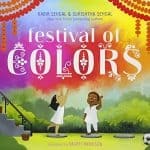 You and your kids can learn about the Indian festival of Holi with the vibrant book Festival of Colors. It follows a brother and sister who gather flowers in every color of the rainbow. Then, they dry the petals and grind them into colorful powders. On festival day, the children and their parents join their neighbors in joyfully tossing the bright powder like confetti. There’s an author’s note at the end with information about the holiday. I LOVE this book and highly recommend it. 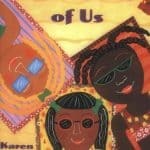 Karen Katz’s The Colors of Us is a beautiful choice for talking about the many shades of skin colors. I’ve read this book countless times to my own kids. They were fascinated by not just the skin colors but by all the interesting details of the narrator’s neighborhood. 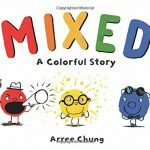 Mixed: A Colorful Story by Arree Chung is another brand new book about colors. It has a simple yet powerful message of diversity and acceptance. Like in the book One, the characters here are personified colors. In this story, they learn that mixing colors can have beautiful results. Children can explore emotions and stereotypes with the valuable color books in this section. 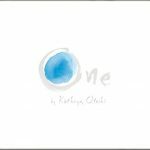 Kathryn Otoshi’s anti-bullying classic, One, is a color book at its core. The story teaches that kids should stand up for each other, while also reinforcing color words. 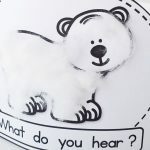 Plus, here on the blog, we have an open-ended activity for the book that you might like. 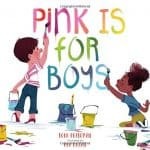 Pink is for Boys sends a positive message that every color is for everyone. For instance, boys and girls wearing blue play baseball together. A girl in a pink dress and a boy putting on a pink bowtie get ready for a party. I wasn’t able to get my hands on this brand new book yet, but it certainly looks like a great addition to classroom libraries. 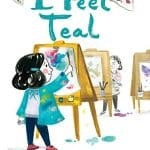 I Feel Teal, starts off as a simple concept book featuring less common color words such as teal, jade, mauve, and magenta. The end of the story has a sweet message of letting your emotions through because they “make you YOU.” The bright watercolor illustrations immerse you in each color. I’d love to pair this book with a painting activity that offers a wide selection of colors. A color of his own by beloved author Leo Lionni is the story of a chameleon who gets tired of always taking on the color of his environment. He wants his own color! The story ends with a sweet friendship and an unexpected solution. 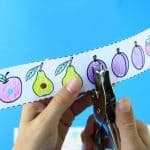 I have a favorite craft that goes with this story – you can see it in action on this video that I posted on Facebook. 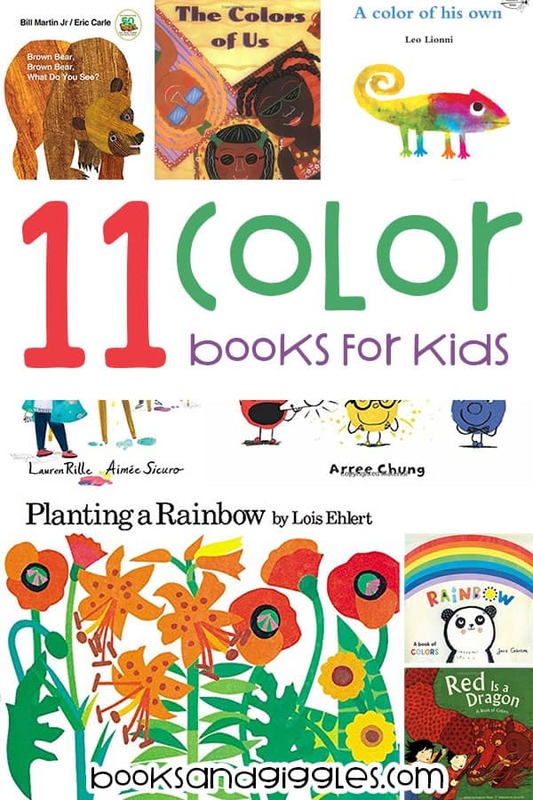 I hope your kids love learning with these fun books about colors! It’s so rewarding watching children learn and grow as they get excited about the world around them.